Over the past five years, The Historical Cooking Project has highlighted the relationships between food, research, and academia. Recently we have featured several posts discussing pedagogy--specifically, how to teach about food history in university classrooms. However, we have never included any content on the history of food in universities themselves. 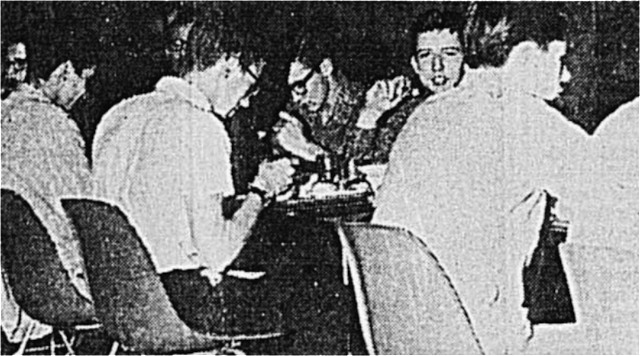 Today's guest post by Colin Rier delves into the history of one university's dining hall system. This post is also available in audio form below. Bishop Mountain Hall, and the three residences which it serves, was originally a response to a problem that McGill University of Montreal, Quebec had struggled with for much of the mid-20th century. The school was experiencing a significant increase in the amount of students, particularly students coming from outside of Quebec, and Canada. These new students started to settle in the neighbourhood immediately to the east of McGill; establishing that area as the McGill ghetto. In the mid 1950s, the housing potential of the area around McGill was beginning to be pushed to its limits for a variety of reasons. 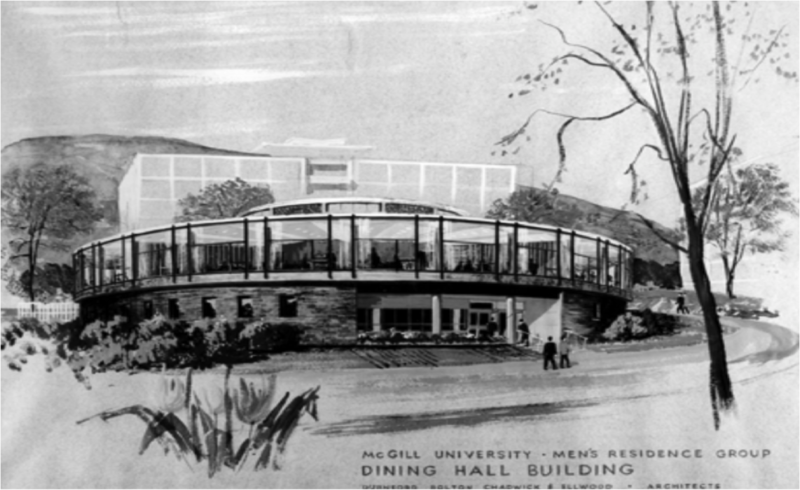 At the time there were only two major McGill residences; each with their own dining hall. There was the men’s residence of Douglas Hall up the hill from campus, and Royal Victoria College for the women; just at the southeast edge of campus. The McGill Office of Physical Resources acknowledged that the only way to solve this problem was to create more residence space. The task of creating a new Men’s residence program was given to Stanford Reid in 1957. Reid was originally the Warden of Douglas Hall, and would later go on to be the first Director of Men’s Residence. The committee, led by Reid, ultimately established that not one, not two, but three new residences were to be built, all sharing the same central office, and dining space of Bishop Mountain Hall. The residences were built to hold up to 800 students, while Bishop Mountain was designed with the potential of serving up to 1100 people, 3 meals a day. The residences were quickly constructed, and opened to its first residents in the fall of 1962 with a great degree of anticipation. Beyond the quality of the food, and timeliness in which they serve the food, the students in Men’s residence struggled with Bishop Mountain Hall because of the way in which the payment system was structured. There was a good amount of internal debate over the way in which the residence would manage student payment for food from the dining hall; but they ultimately settled on a year long pre-paid meal ticket, which could only be redeemed at Bishop Mountain Hall. This meant that students were expected to eat breakfast, lunch, and dinner every day of the week, only at that dining hall. As is still the system in the majority of McGill’s downtown residences, it is compulsory for students to buy a full year meal ticket. This was, and is, not unique amongst university residences in Canada, but McGill was unique with the rigidity in which they enforced it. 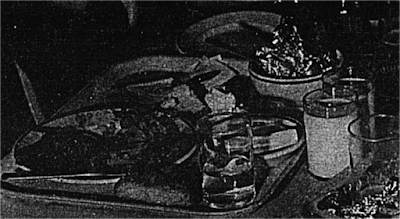 Many of the students in Men’s residences chafed against the montony of food from Bishop Mountain Hall day after day. Beyond being the first large scale display of student frustration, this event contains the first mention of Robert Bray, who would go on to be the Chief Administrator of Men’s Residences and Food Services. In 1965, Stanford Reid, the man who had developed the idea of Men’s residences and acted as Residence Director left McGill to go University of Guelph. Taking his place at the head of residences was Mr. Bray, assuming the title of Business Director of Men’s Residence and Food Services. However, with Reid leaving, wardens took more control of their own residences while the head administrator took more control over Bishop Mountain Hall. It’s with this transition in power that the students truly begin to resent Mr. Bray. 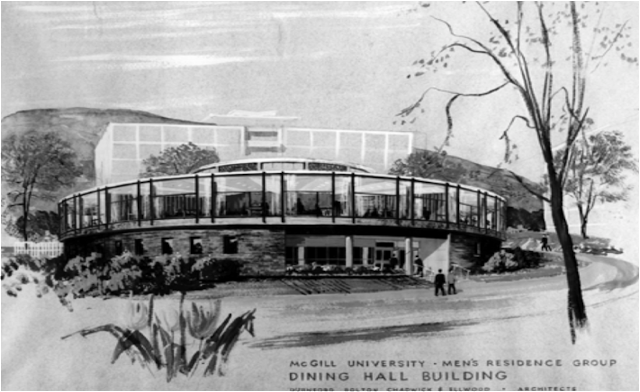 After hearing from students, University Residence Council and the Student Union, since the inception of Bishop Mountain Hall in 1962, the McGill Senate decided to launch a Sub-Committee on Residence Policy in 1969. The committee was ultimately formed containing 7 students, 7 non-students and a non-student chairman. 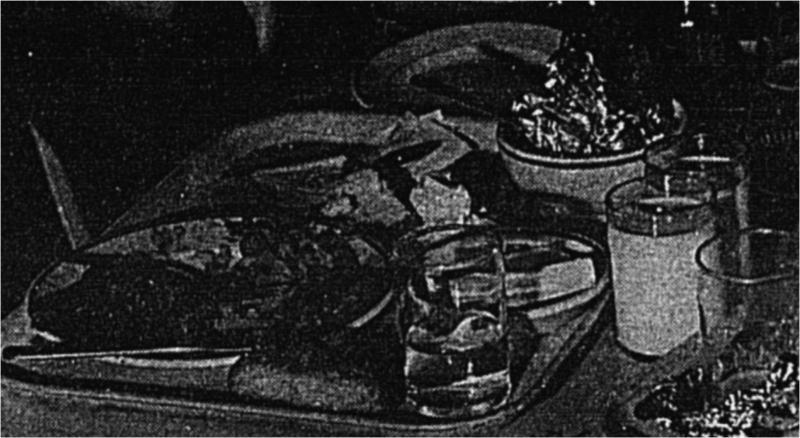 There was a number of items they were tasked with investigating, but primary among them was to better the food services of residences. In an external audit of the McGill Men’s Residences Food Services by Maurice Novek, he declared that the department was chronically mismanaged at all levels, and that the committee would be wise to recommend the dismissal of Robert Bray. While McGill did not part ways with Mr. Bray they did adhere to the other recommendations produced from the report; including the hiring of a dietitian, as well as more staff members with experience operating a kitchen. With the hiring of this additional staff, the change was made in which Mr. Bray had less control over the actual food then ever before in his career. Along with the changes in food services the men’s residences were opened up into co-ed residences the following year as while as a number of other changes. This marked a major regime change in every level of operation in residence. 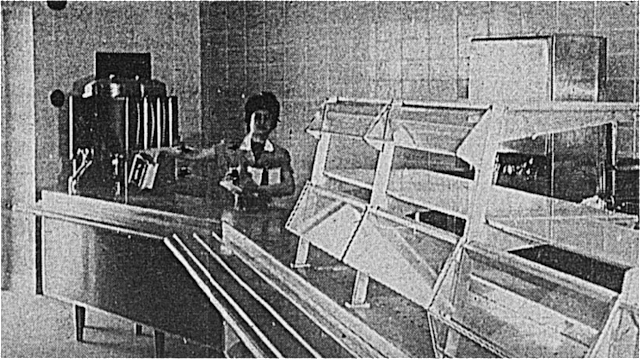 Despite the changes made, the food services of residence would continue to struggle as there would be two more Senate Subcommittees on food services in the 10 years following 1970. 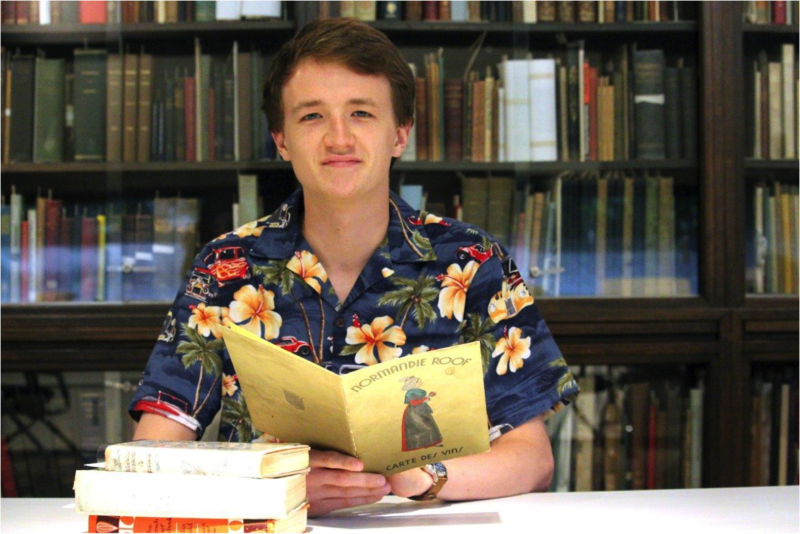 Colin Rier is in his 3rd year (BA) studying food history at McGill University. As well as studying at McGill, Colin involves himself in Montreal’s food community by managing Foodchain restaurant, leading food tours for the Museum of Jewish Montreal, as well as leading a food based community building project in Solin Hall Residence entitled FETE. This past summer he interned in the McGill Rare Book Library working with the Cookbook Collection. His research focuses are in food criticism, 20th century restaurant history, and Canadian cookbook history. This research and podcast was prepared for a Seminar on the Student History of McGill taught by Professor Suzanne Morton in the Fall of 2018. For more on this project, check out his website.